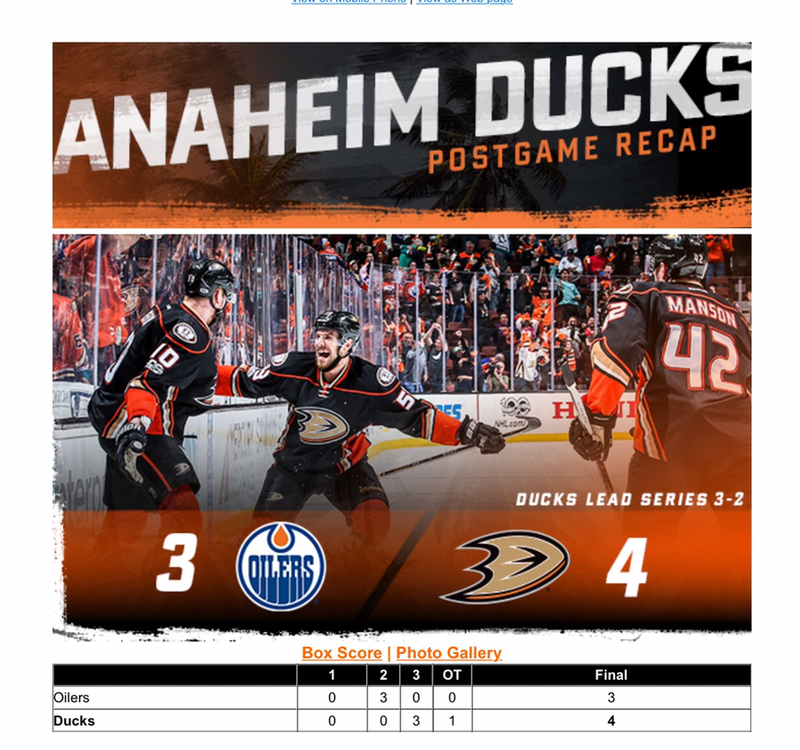 The Anaheim Ducks won both games in this series on the road in Edmonton, and a win at home in game 5 would really help. Game 5 also fell on May 5th, Cinco de Mayo, so at the team store I picked up a hockey version of the Mexican celebration against the defeat of the French. The game wasn’t until 7:30, so we had plenty of time to roam around. We ran into Power Players Chanelle and Ally (@chanelleriggan_ and @__allykay), so Stephen posed with them for a Cinco de Mayo / Playoff photo. 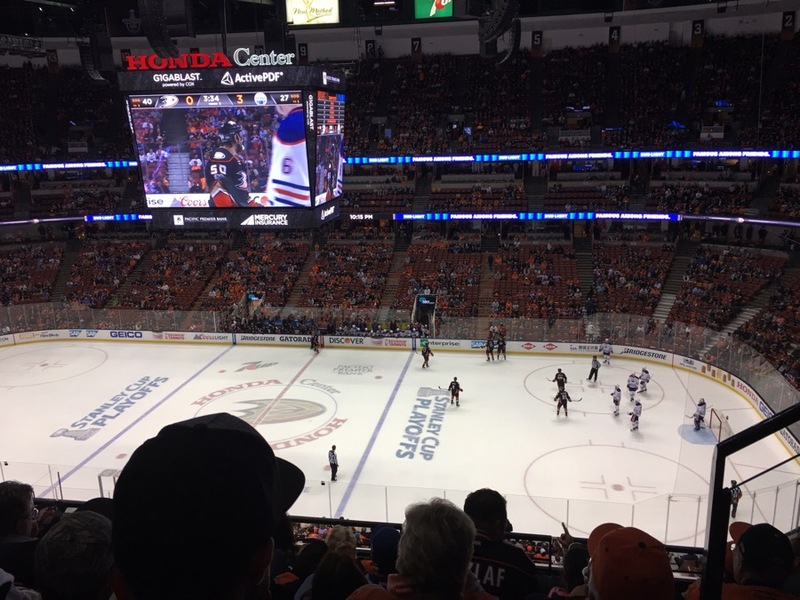 The crowd was pumped at the start of the game, plenty of loud chants from the Ducks fans and Oilers fans. The first period had lots of potential goals, but ended up scoreless. The Oilers blew open the 2nd period with 3 unanswered goals. The Oilers had a 3 goal lead up until 3:01 minutes mark of the game. 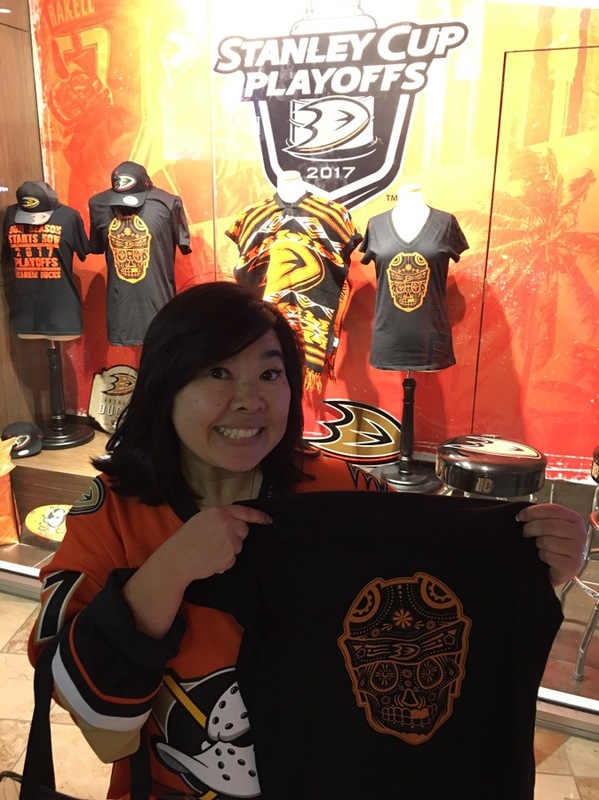 Could the Ducks score THREE goals in less than 3 minutes? Apparently yes they could, and forced overtime. 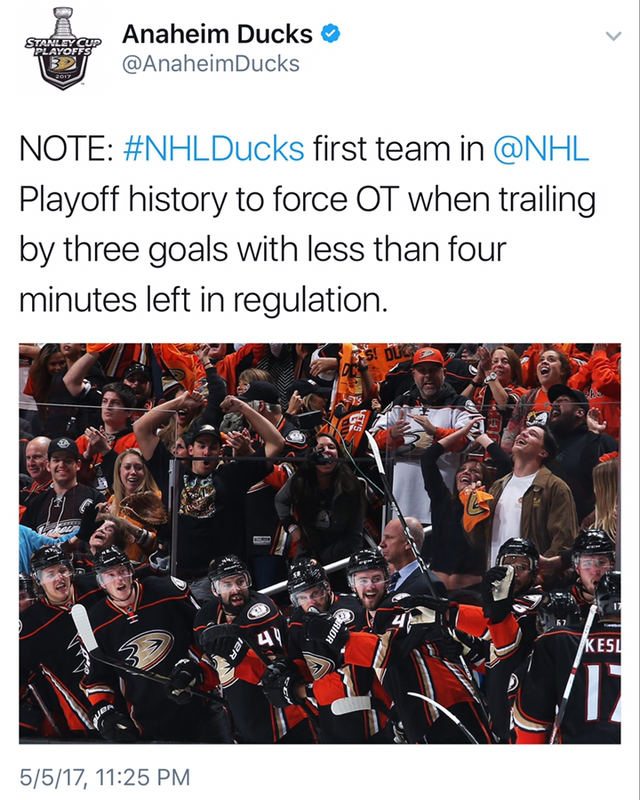 In the 2nd overtime the Ducks would score, beating Edmonton and even made NHL history. The series is now 3-2, with the Ducks heading to Edmonton with a game lead. 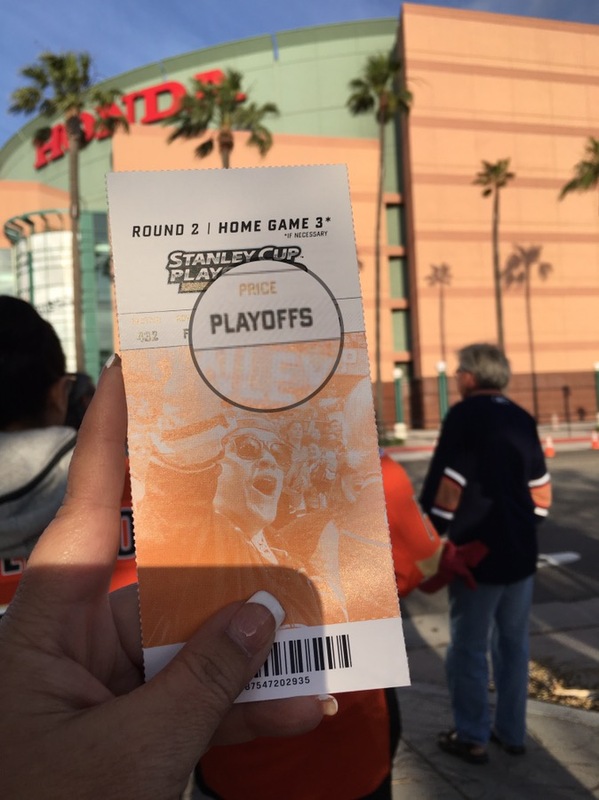 For the NHL recap, click here.